A “Goldilocks” end to the week: Sentiment was nicely boosted to end the week last week. US Non-Farm Payrolls printed as closely to a so-called "goldilocks" figure for risk assets as you're ever liked to see. The data revealed the US economy added 196,000 jobs last month, against an expected figure of 172,000. It was enough to keep the unemployment rate to its very low levels of 3.8 per cent. But the real kicker for market-bulls was the earnings component: wage growth missed estimates, revealing a monthly increase of 0.1 per cent, versus expectations of a 0.3 per cent expansion. The result from the NFPs achieved two things: a reassurance that growth in the US economy, while possibly late cycle, is still solid; and inflationary pressures coming from higher wages remain subdued. Risk appetite climbs: Equities and other risk barometers were the major beneficiaries of the "goldilocks" US labour market data. Cyclicals performed well on Wall Street, as the S&P500 sustained its focused climb towards record-highs. Credit spreads narrowed too, as yield was sort out in fixed income markets. The VIX fell into the 12 handle, as fears of a sharp and imminent economic slow-down abated. And US Treasury yields remained quite steady, as the likelihood of a Fed rate cut before the end of 2019 were unwound slightly. 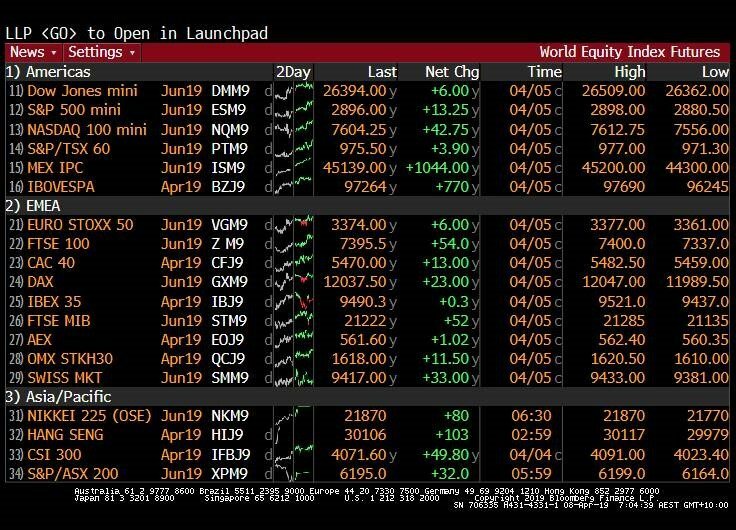 The dynamic has led to a great deal of positivity across global equities to begin the new week, with futures markets ubiquitously in the green. Trade-talks tread water: The other major event over the weekend was US-China trade-talks, and unlike the NFPs release, the outcome (so far) has generally been met with a shrug. Markets are hearing much of the same from both sides on the trade-war at-the-moment. Progress is ostensibly being made -- that's what Larry Kudlow told the press over the weekend, and that's what Chinese President Xi Jinping told the press on Friday afternoon. But markets are a bit fed-up with platitudes: they've priced in amicability, and are now craving a decisive resolution, with an unwinding of tariffs. That could still come yet, of course. However, it wasn't to be this weekend; so markets continue to wait with bated breath for a true breakthrough. Reshuffling in currency markets: The combination of strong NFPs and static trade-negotiations looks to have inspired a fall in growth currencies and a lift in the US Dollar over the weekend. Moves in foreign exchange markets were quite limited in the G10 space to end the week. The Australian Dollar has fallen back to the 0.7100 handle; while the Kiwi Dollar and Canadian Dollar have also pulled back - the latter falling despite a continued climb in oil prices. 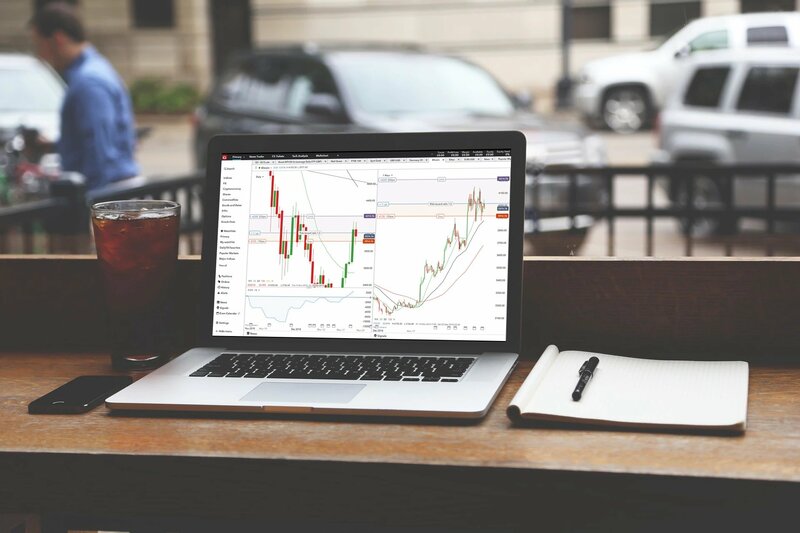 The Japanese Yen was down, however, revealing supported risk-appetite in the market currently; and the Euro was also down, much further into the 112 handle, as pessimism reigns about the Eurozone's economic prospects. Naturally, the Pound also dipped, unaided by heightened Brexit fears as the April 12 Brexit-deadline looms. 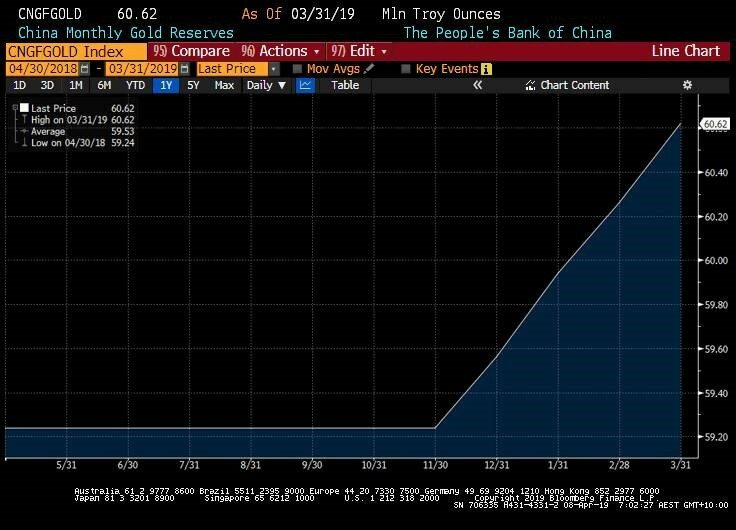 China’s gold-bugs: Speaking of the currency complex, Chinese foreign reserve data were released over the weekend, and revealed that the PBOC once again increased its gold reserves last month. The motivation for doing so is speculative, and probably multifaceted. Nevertheless, one large consideration from Chinese policymakers must be to reduce exposure to the US Dollar. In the face of geopolitical conflict, and a begrudging dependence on the US Dollar as global reserve currency, the PBOC joins a handful of global central bank's reducing dollar holdings, often in favour of gold. Though dollar pre-eminence ought to last for some time yet, China's gold-buying spree adds credence to the notion that the yellow metal may see more upside yet in the long term. Trumponomics 2.0? Incidentally, perhaps evidence of the benefits of separating a national economy from US Dollar exposure came over the weekend. In the newest chapter of the Trumponomics handbook, the US President announced his desire to see the Fed undertake another round of Quantitative Easing to further fuel the US economy. Perhaps emboldened by (the perceived) success of forcing the Fed to halt rate hikes last year, the President has turned his power to force outright rate cuts. The President's rationale is easy to ascertain. 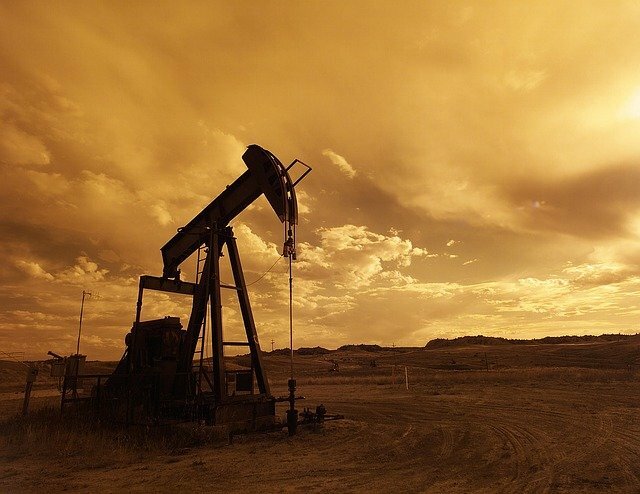 But reading between the lines: given his desire to carry a strong economy into the 2020 Presidential campaign, might this outburst indicate the President's belief the US economy might soon slow down? ASX to reclaim losses this morning: As far as Australian equities go today, the bullish lead handed to market participants should see the ASX200 climb about 32 points this morning. If realised, this will put a line under a couple of days of rather broad based selling on the Australian stock exchange. Seemingly marching to a beat separate from that of the rest of the world, the ASX200 registered noteworthy falls to end last week. It was a wholesale exit from Australian stocks, with every sector in the red on Friday, on 18 per cent breadth. The rationale isn't clear as to why this was so: market internals were quite balances, though momentum had arguably gotten a bit over down. Regardless, global bullishness should spark a rebound, ahead of another busy week for traders.